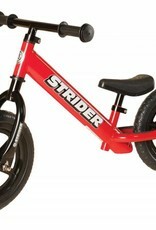 The Strider 12 Sport is the most popular Strider model. Durability and a wide range of features make the Sport perfect for our most enthusiastic and small riders. The patented steel frame and puncture-proof tires require no maintenance. Seat and handlebar height are quickly adjustable without the use of tools. The popular Sport model has improved ergonomics, with built-in footrests and a padded seat sized perfectly for toddler hips. Mini-grips tailored for small hands improve control and a cushy handlebar pad looks great while improving safety. 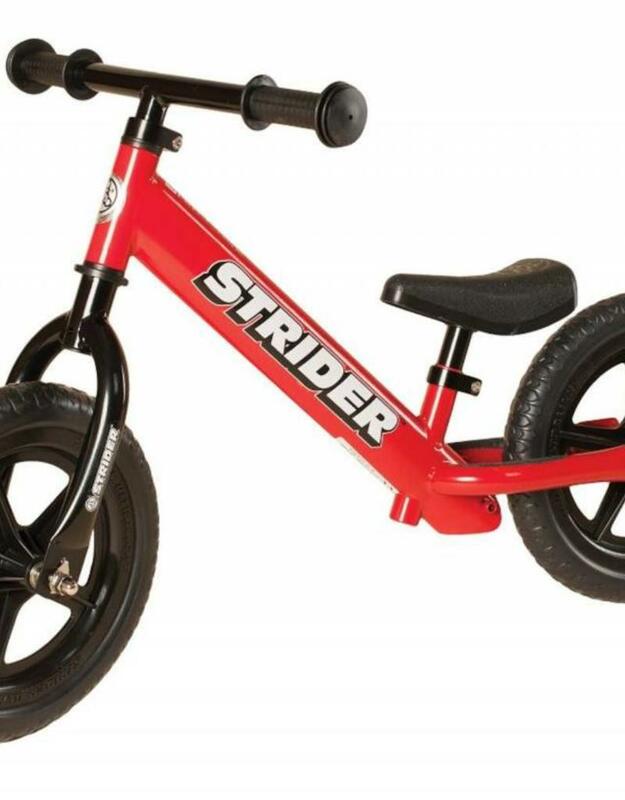 Strider Bikes are designed with a low seat height so children can start riding when they are 18 months old. The Sport features an extra-long seat adjustment range so it will grow with your child up to 5 years of age.